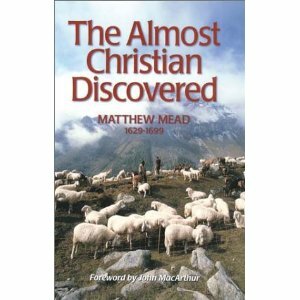 Matthew Mead’s The Almost Discovered Christian Discovered (first printed 1661; SDG ed., 1993) was written “that the formal, sleepy professor may be awakened and the close hypocrite discovered” (p. xv). 1. There is a blind zeal, a zeal without knowledge. This was the zeal Paul had while a Pharisee and persecuting the godly. 2. There is a partial zeal. 3. There is a misplaced zeal fixed upon unsuitable and disproportionate objects. This is “a superstitious zeal” usually found in unconverted men “in whom grace never was wrought.” This is the zeal Paul had for “the traditions of his fathers” before his conversion. 4. There is a selfish zeal that has a man’s own end for its motive. 5. There is an outside zeal. 6. There is a forensic zeal that runs out upon others. 7. There is a sinful zeal. This is “a zeal against zeal.” It is a “devilish zeal.” It is a zeal against godliness and truth. 8. There is a scripture-less zeal that is not butted and bound by the Word, but by some base and low end.